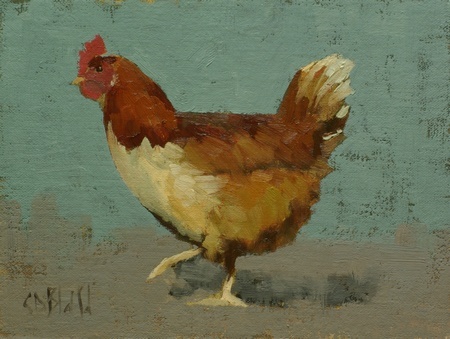 A small painting of a chicken done as a study of color relationships and paint application techniques. 6x8, Oil on linen panel. Unframed.